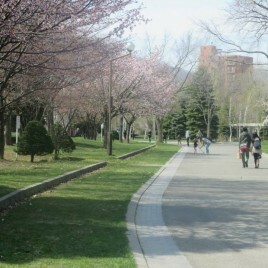 Located in downtown Sapporo, Nakajima Park is a large area of greenery and water with a number of wonderful attractions and cultural facilities. It’s just the right timing now to view the sakura cherry blossoms in Sapporo. 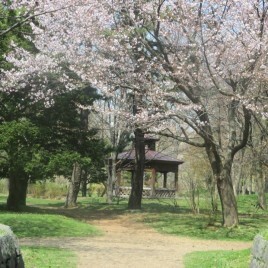 The trees are planted along Kamokamo River & some in the park .